We’ve already covered Bangkok and Singapore, and now it’s time to shift over to Malaysia. 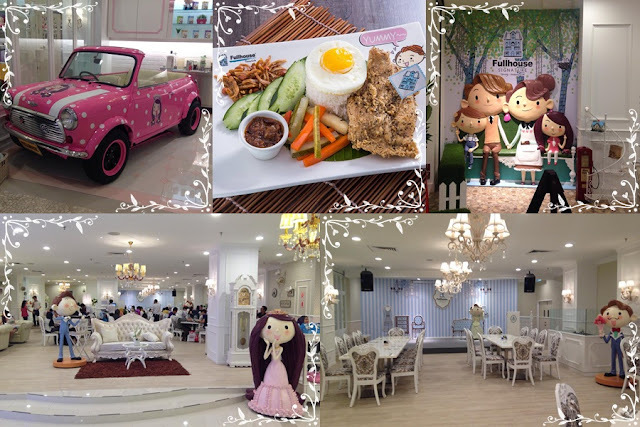 Did you know that Malaysia is also one of the Southeast Asian countries that is home to lots of adorable fairy tale-themed cafes and restaurants? Also, since Malaysians are well-known for their lepak culture – which literally means hanging out - they would need a nice, cool place to hang out, and the cooler your café is, chances of it becoming a full house is very possible. 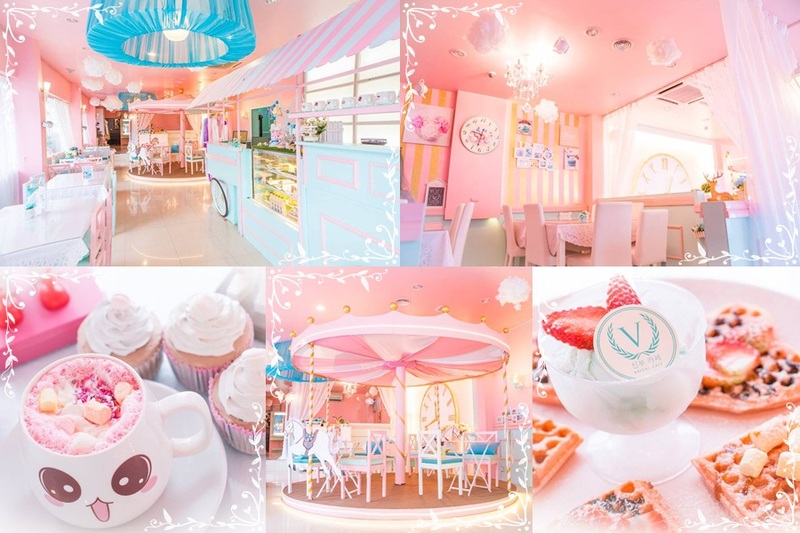 Having unique and Insta-worthy cafes really help to ease up the tension of many working adults nowadays, as they can serve as the place for a quality family bonding time, a reunion among friends, colleagues and school mates, or maybe a special birthday or anniversary celebration. So without further ado, here are some of the most adorable fantasy-themed cafes in Malaysia. Also known as the Flower Café, the place is decorated with both fresh and artificial flowers in a cosy environment that will put you at ease. Though the café seems to be missing the letter ‘y’, it is no doubt one of the happiest cafes in town that serves great coffee, hot food, refreshing drinks, unique cakes, and yummy pastries. The café also offers delivery services for both food and flowers. A tiny part of the café, which is the artsy area, sells different stationaries such as postcards, stickers and more. Every month, the café will host workshops for handmade crafts. Located at Tropicana Avenue, the café was opened by two sisters. “Do you want to build a snowman?” But you don’t need to! 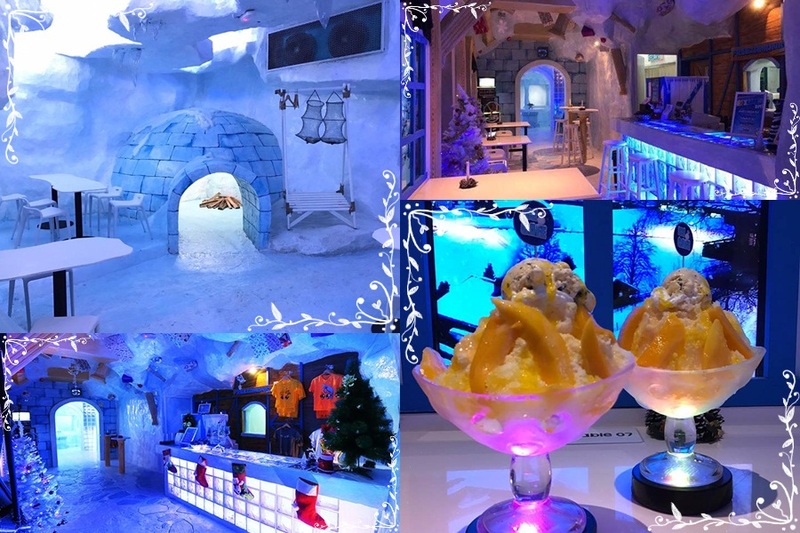 Because Penang’s Ice Café already have their own snowman! The first-of-its-kind café in Malaysia, Ice Café lives up to its name with a constant temperature of 8°C to 10°C throughout the day, so if you plan on visiting the place, a jacket or shawl is recommended unless you’re used to cold temperatures, because remember, even the lowest temperature of a normal air conditioner is only 16°C. 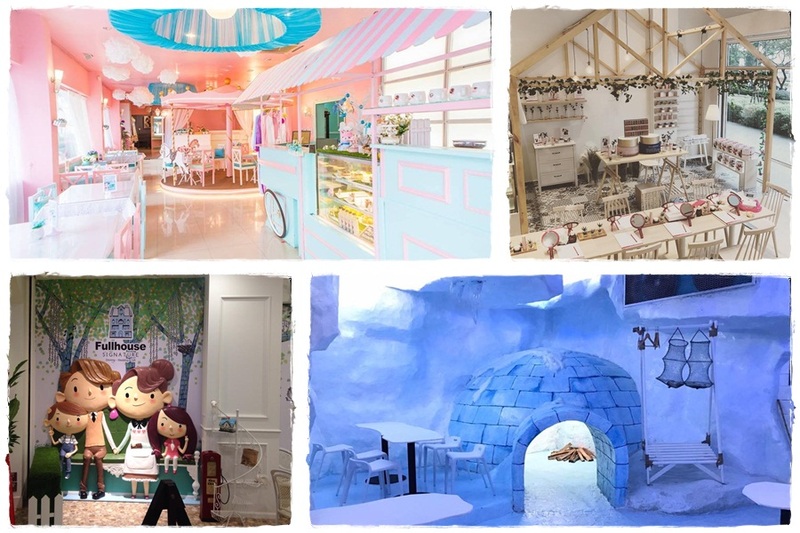 The unique coffeehouse combines the novelty of a cold temperature with gorgeous settings complete with an ice bed, igloo, white Christmas trees, snowmen, and ice bath too! Located on Lebuh Victoria, it is the perfect place for you to escape from Malaysia’s tropical temperature. 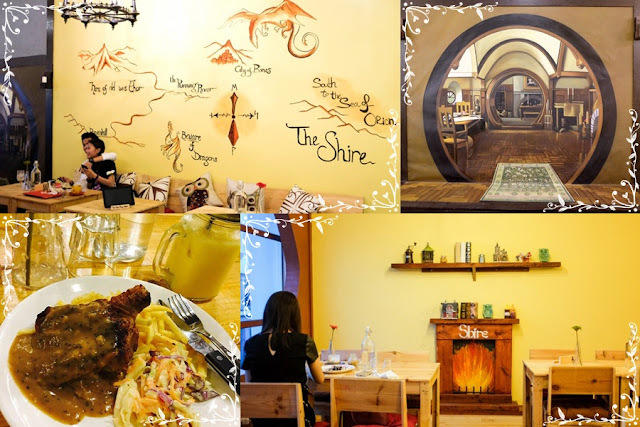 This simple “Lord of the Rings” themed café is opened by a family of three who are huge fans of the series. The calm and cosy café has its wall sporting a Tolkien-esque map, and it also features a mural of the interior of Bag End. Howard Shore’s epic soundtrack will be played throughout the day, so it really feels as though you are at café somewhere in Middle-earth. The café also serves tons of LOTR themed food like The Fallen Tower waffles, Queen’s Garden salad, Red Dragon Spell pasta, Goblin Crumbs, Ring of Terror, and more. The café is located at Sri Petaling, Kuala Lumpur. This is the first merry-go-round concept cafe in Malaysia, located at Kampung Jawa, Ipoh, Perak. The café has been around for quite some time, and was previously known as the Valentino Bridal Café. The café which was previously decorated in elegant tiffany blue and white is now recoloured into cutesy pastel pink, peach, and salmon. Apart from offering adorable desserts, the café also offers anything from Valentino signature gowns to pre-wedding photo shoots. The place is also perfect to host birthday parties or bridal and baby showers. 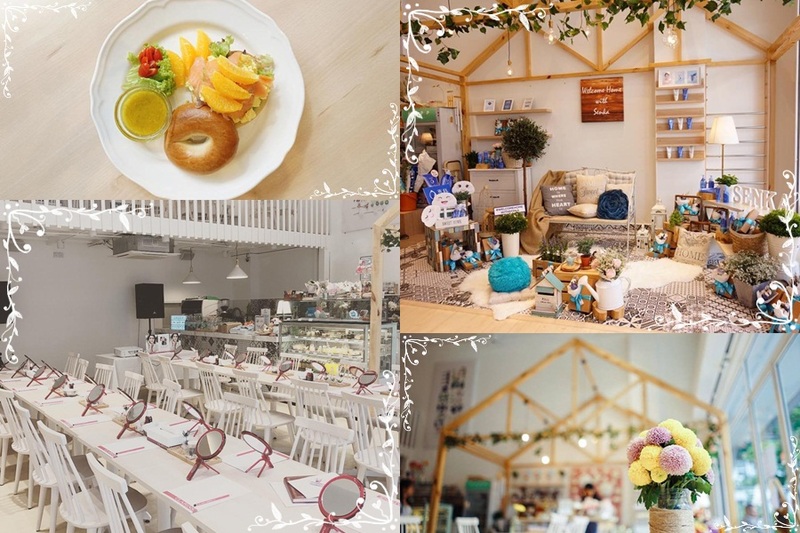 This is another adorable café perfect for birthdays and weddings, the café features a happy family made up of Dad Thomas, Mum Tracy, children Tiffany and Tony, as well as pet dog Toy. Located in Sunway Pyramid, when you walk into the shop’s entrance decorated like a porch, you will see a parked vintage Aston Martin Mini Cooper Classic. There areas dedicated to each character such as Tony’s party lounge, Tiffany’s bedroom, Daddy Thomas’ study room, and Mum Tracy’s living and dining area. The place sells Asian and Western dishes, as well as Fullhouse merchandise.